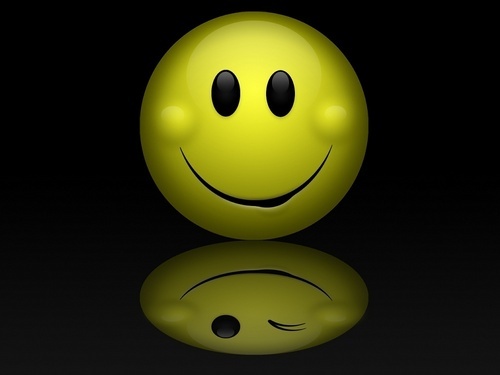 Smiley Wallpaper. Smiley reflection wallpaper.. HD Wallpaper and background images in the KEEP SMILING club tagged: smile smiley reflection wallpaper happy. And I love the reflection with wink ! Great Wallpaper & Awesöme Naughty wink Reflection.! Its Shöwing just like 2 Side Öf Coin 1 is Smiley & Öther 1 Is Naughty.! I don't see nastiness here ! Or maybe I just want not to see it ! It could be a flirty wink too! Oh Karen we are really women : nothing is bad in this picture !